My visit to Vienna was stop number two on my trip across Europe, and only lasted a day and a bit, so I didn’t get much time to look around the city. 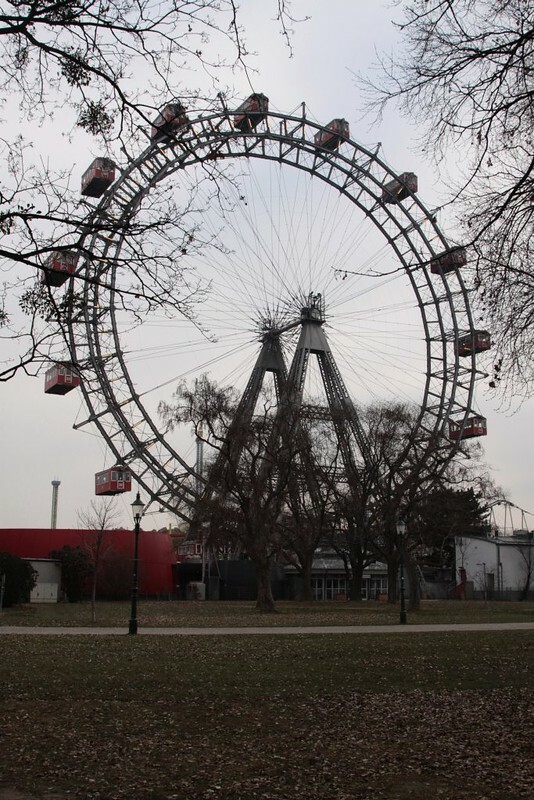 None the less, here are a few suggested places for a railfan to visit, starting with the well known Wiener Riesenrad. From the top of the hundred year old Ferris Wheel, you can look down on the S-Bahn commuter trains that pass through Wein Praterstern (Vienna Praterstern Station). After riding on the wheel, the station itself is only a short walk away. 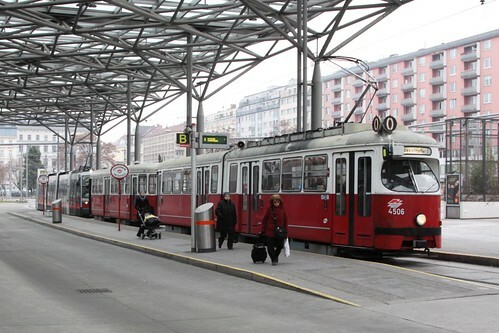 And outside Wein Praterstern is a tram terminus. 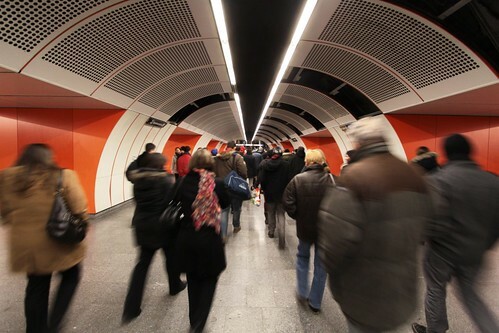 Next stop is the mostly underground U-Bahn network that runs across the city. Powered by the third rail like most European metros, the network has a 1970s feel. 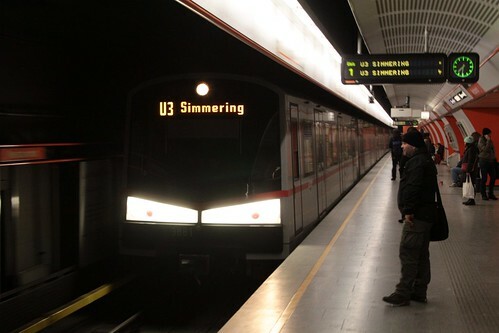 The odd one out on the U-Bahn is line U6, which utilises rolling stock somewhere between a train and a tram. These 12-carriage long consists run along a former steam railway line, and are powered by overhead wires. 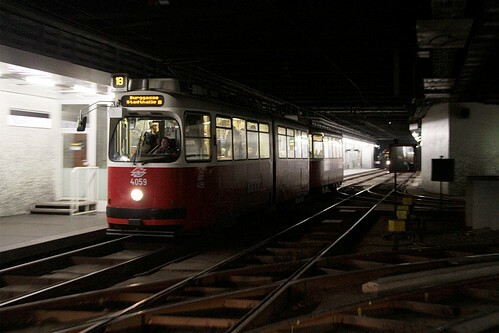 Another oddity in Vienna is the underground tramway system to the south side of the city centre. 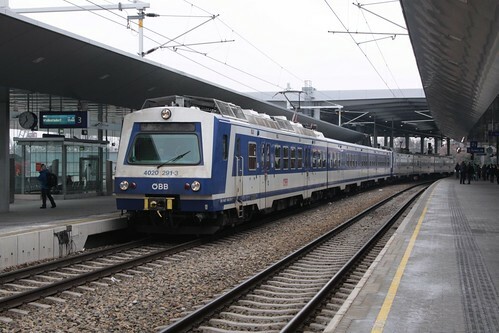 The station of Matzleinsdorfer Platz is a good place to inspect the system, where a three way junction is located between the platforms. 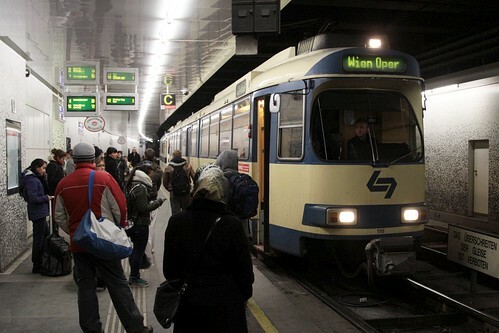 As well as being used by the Wiener Straßenbahn, light rail vehicles from the 30.4 km long ‘Lokalbahn Wien-Baden’ system also use the tunnel to access the city. 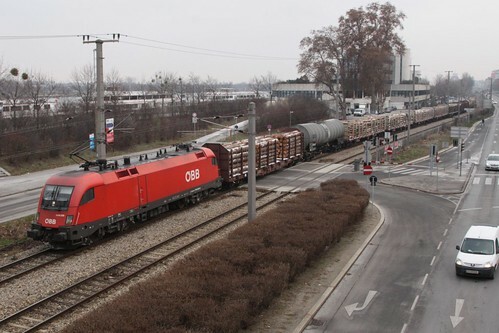 The final place I visited was the Danube River, where a freight only railway follows the western bank. When I was there I lucky enough for a short freight train to trundle past. 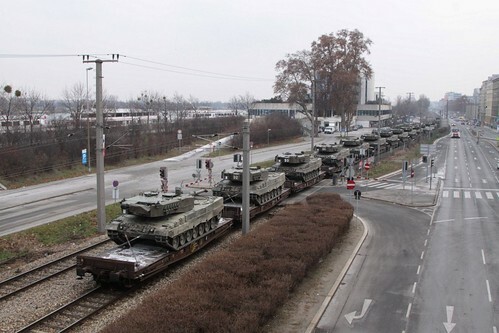 Followed by a train headed the other direction, laden with a company of Leopard 2 main battle tanks. 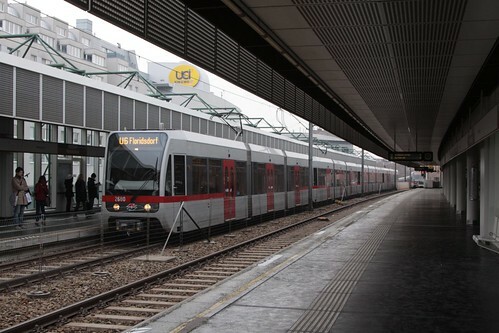 This entry was posted in Trains and tagged Austria, metros, railfan guides, Straßenbahn, U-Bahn, underground, Vienna. Bookmark the permalink.